A U.S. company that makes rodent control products sought durable, lightweight, weather-resistant boxes to ship rat poison overseas safely. When an off-the-shelf solution proved elusive, Ox Box proposed an innovative product that exceeded expectations. Bell Laboratories approached us about obtaining heavy-duty, weather-resistant, disposable boxes to transport 400,000 pounds of rat poison across land, sea and air to islands off of South America. 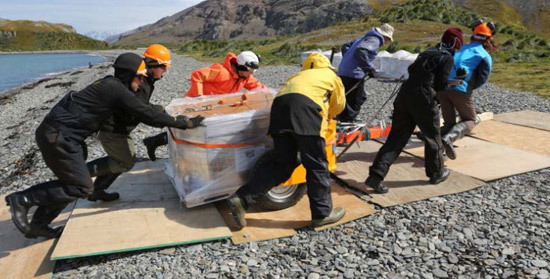 In addition to emerging intact from the arduous 3,000-plus mile trip across two continents, from Wisconsin to the remote Galapagos Islands in the Pacific Ocean, the boxes would need to withstand the harshest environmental conditions for weeks at a time, from fickle Midwestern climes to rainy, tropical conditions along the equator. During the trip, the disposable boxes with contents weighing 800 pounds would need to stack three high in a ship’s hold and withstand the massive gravitational force of their contents swaying back and forth amid sea swells and storms. With Bell Labs’ challenge in hand, we quickly got to work analyzing the company’s requirements and specifications for the containers. Typically, water-resistant wax-impregnated corrugated boxes are used when contents must remain dry. Similarly, specially coated corrugated boxes, too, are more resistant to liquids than normal corrugated boxes. But neither wax-impregnated nor specially coated corrugated boxes would suffice for this unprecedented challenge. The coated boxes are not weatherproof and the wax boxes are neither recyclable nor biodegradable. The customer also explored plastic storage solutions, but these containers also posed a disposal issue once emptied. Instead, we proposed a product well suited for Bell Labs’ Galapagos project: eco-board™. Developed in 2010, the new hybrid corrugated container includes polyethylene terephthalate (PET). A corrugated fiberboard material, eco-board™ incorporates plastic from recycled water bottles to enable the boxes to withstand exposure to the elements. eco-board™ boxes also are environmentally friendly because, unlike wax-impregnated boxes, these containers can be recycled with standard corrugated materials. This unique recyclability allowed eco-board™ to meet the Galapagos project’s strict environmental guidelines. eco-board™ is the first box of its kind. The innovative design combines the strength of wooden crates, the durability and weather resistance of plastic containers, and the economical cost and reduced weight of corrugated paper boxes. While it will be years before experts know whether the Galapagos’ rat problem is under control, this much is certain: eco-board™ far exceeded the already-high expectations for its maiden voyage. After an unexpectedly difficult ocean voyage spanning thousands of miles to the equator, an unexpected delay at port again tested eco-board’s™ durability. While awaiting customs clearance in Ecuador, the boxes endured a month of storage in sweltering humidity and high temperatures. By folding flat and minimizing space, the boxes also simplified the cleanup process, Hagan says. 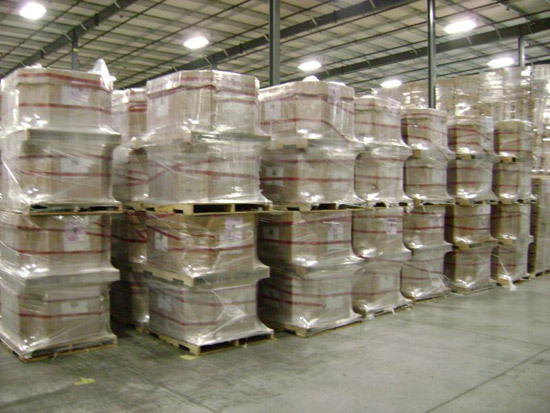 “eco-board™ boxes will be a good option for future storage projects,” Hagan says. What challenge will eco-board™ boxes face next? In the next installment, learn how the containers successfully completed an ocean voyage to the far reaches of the Southern Hemisphere.